Happy New Year! I have a New Year's resolutin for you. This year, 2015, I will blog a lot more. I have been lousy in periods.I think pressure myself to write really, witty,, and fun, and interesting, and smart, every time. I don't have to do that. I can write about what I want, because this is my blog. I also wat to give you a treat. 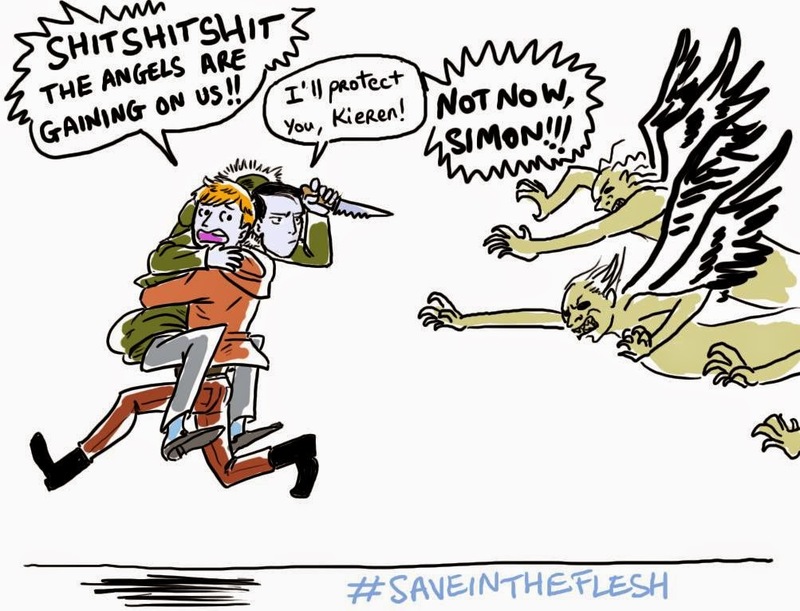 This is some very cute fan art I found somewhere from In the flesh, which might be the best series ever made if you ask me! I want a third season! I want some more Kieren Walker, Luke Newberry, Simon Monroe and Emmett J. Scanlan! Please give me!